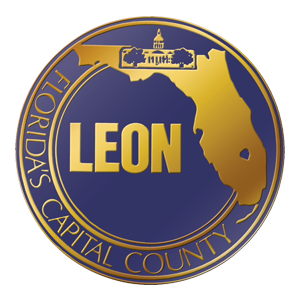 The intern will work in Leon County Community and Media Relations, located on the 5th floor of the Leon County Courthouse. Daily responsibilities will be to assist the Public Information Officers with day-to-day operations, such as creating promotional materials, photographing county events, and updating website and TV photos and information. Graphic Design major preferred, other related fields such as Photography, Art, or Communications are acceptable. Knowledge of Adobe Creative Suite is a must. • Work with design programs, such as Adobe CS5 to create artwork for the County’s promotional materials and much more. • Interns will have the opportunity to photograph County events, employees and landmarks on a daily basis. • Help develop the County’s photo website to share photos from special events and community activities. • Assist Community and Media Relations and other senior staff with day-to-day operations. • Create promotional materials for external and/or interal distribution using Adobe CS5. • Attend County events as photographer or photographer’s assistant. • Process and select photos from events; upload selected photos to the County’s photo website. • Update the County’s Information Channel that runs on Comcast Channel 16. • Prepare slideshows to be shown during County Commission Board Meetings. Will have access to high-speed digital camera equipment and will learn how to use the cameras properly; will learn/develop skills using Adobe CS5, namely InDesign and Photoshop. Will meet and get to work with key County staff, such as the County Administrator, and also the County Commissioners. • Candidates must at least be pursuing a degree in Graphic Design, Photography, Communications, Art, or a related field. • Knowledge of the general operational practices of state and county government. • Basic knowledge of design principles; minimum entry-level design/art courses required. • Skill in Adobe InDesign, Photoshop, Illustrator, Bridge. • Working knowledge of Microsoft Powerpoint and Word. • General photography knowledge using a digital SLR camera. • Creative-minded individual who can think and act quickly on his or her feet. • Problem solving skills and ability to find solutions to design problems. • Ability to take on multiple tasks and meet set deadlines. • Ability to organize photos consistently by department and date.